How much does this four-cylinder diesel convertible, inclusive of options, cost? A staggering ?50,420. For that money you could get a BMW M235i Convertible with plenty of change, or a Porsche 718 Boxster S. Not off to a flying start, is it? With a starting price of ?36,995 - and not much in the way of standard kit - you definitely don't buy the two-seater SLC 250d to economise. Official fuel economy north of 70mpg, ?30 annual VED and a taste for diesel, however, mean that this is also not a traditional sports car, either. 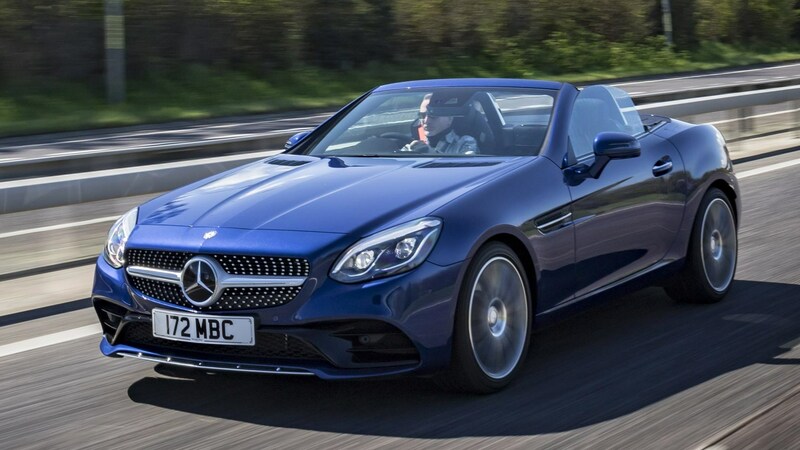 You might imagine it to be a niche choice, but a whopping 70% of SLC drivers opt for this diesel drop-top - rather than the 2.0-litre SLC 200 and 300 petrol models, or the 3.0-litre twin-turbo SLC 43 AMG. The AMG Line trim version tested here, which commands a hefty ?4k premium, also proves very popular. So what's the diesel like? Bad news: it's not the new 2.0-litre four-pot diesel; instead, it's a 201bhp version of the older 2.1-litre engine. 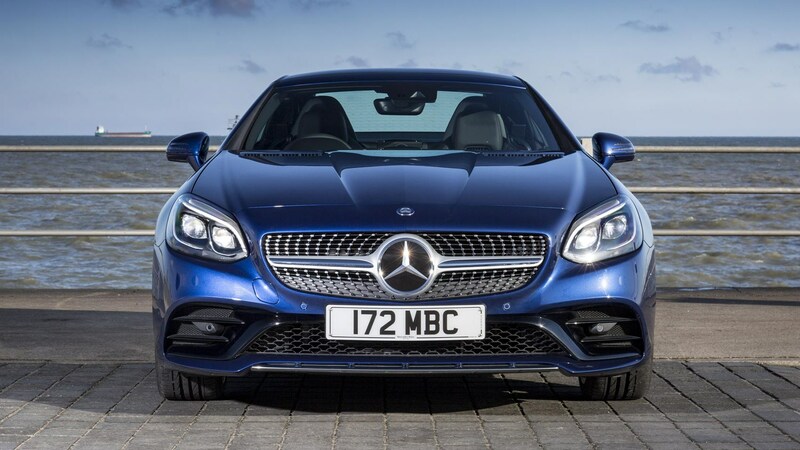 It's far less refined than its successor, but it still serves up decent pace - thanks in part to the engine's 369lb ft, which aids the Mercedes in sprinting from 0-62mph in just 6.6sec. Dawdling around town is when the engine and gearbox are happiest, however, with the transmission slickly shuffling cogs and the motor proving hushed when cruising. Press on a little harder and you'll find the gearbox reluctant to drop down gears in standard Comfort mode, leading to sluggish-feeling performance, while the increasingly vocal diesel further curtails your enthusiasm. Switch into Sport mode and the transmission wakes up a little; this is the happy medium mode between Comfort and Sport+, which shifts down if you even look at the accelerator. Even more abrupt is the stop/start system, which cuts the engine when you are crawling along in traffic, making it impossible to edge along smoothly. You're better off just disengaging it. Is the roof mechanism slick and quick? No. Contrary to what you might expect, its operation is noisy, grumbling and pedestrian. 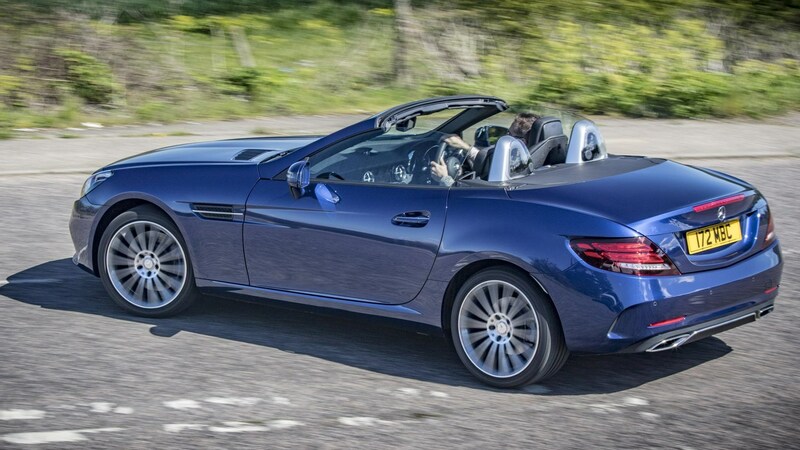 It's got a lot of weight to deal with, mind, so it's no surprise that it's a bit less refined than a soft-top system - but it's disappointing given the price of the car. That said, with metal and glass all around - rather than the typical fabric tent top - the cabin's pretty quiet with the roof up. This remains the case if you drop the roof, with only a little wind intrusion disturbing the cabin at speed. 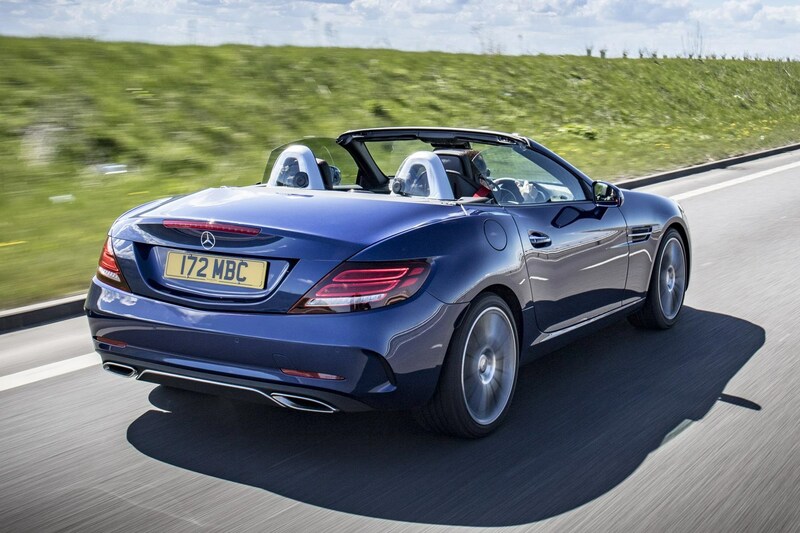 The ride, however, is firm and jarring at times, denting the Mercedes' credentials as a cruiser. This could be down to the ?995 Dynamic Handling Package fitted to our car, which adds lowered suspension and adaptive damping. In Sport+ mode the suspension struggles to absorb bumps, with the car being bucked off course by bigger undulations, while Comfort mode is better but fails to do its name justice. You won't find much joy in the corners, either. The steering's unremarkable, and you'll not find anywhere near the same degree of accuracy or ride compliance that you would in a Porsche. So how does it stack up elsewhere? 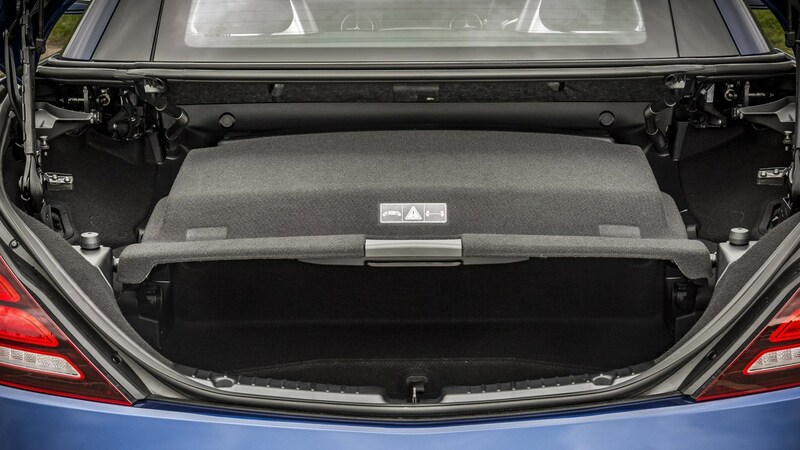 The folding hard top looks good up and doesn't take up too much space in the large boot. The interior, meanwhile, feels less plush than it should do for the price. The materials are acceptable, and the low-slung seats supportive enough, but the cabin just feels dated. The ?2095 optional media system fitted to our car was also not as slick as most rival systems, either. Cash savings of more than ?9,000 are available, though, meaning that this car can be bought outright for less than ?28,000. That swings the balance back a little in its favour. 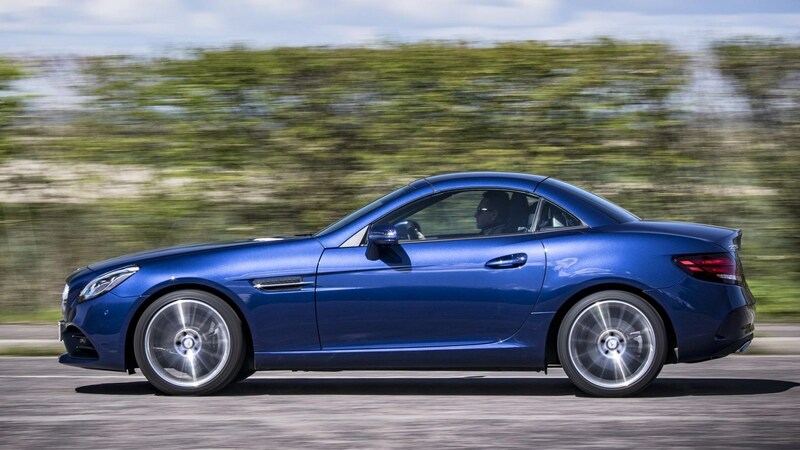 With a coarse diesel motor under the bonnet and firm, brittle suspension, the SLC fails to make the grade as a sports car or a laid-back cruiser. The price, meanwhile, just adds insult to injury; you could get two Mazda MX-5s and still have ?5 change for the same cost as the SLC 250d. It's not like you get much equipment either. As a result, you have to love the looks of the SLC or really value the high claimed economy to splash out the best part of ?40,000 for one. Bearing in mind the din that the diesel motor produces, the cheaper SLC 200 petrol - which can be found from just over ?22,000 with online brokers - could be a wiser option for many convertible fans. 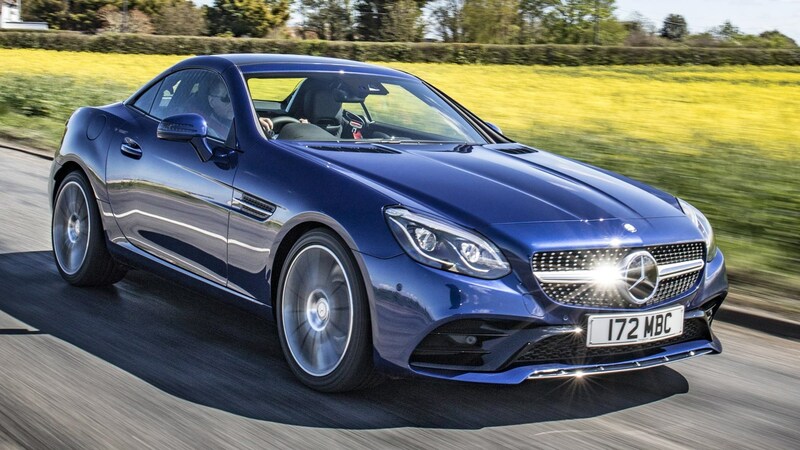 At that price, it's easier to overlook the SLC's downsides. Read more on Car Magazine.